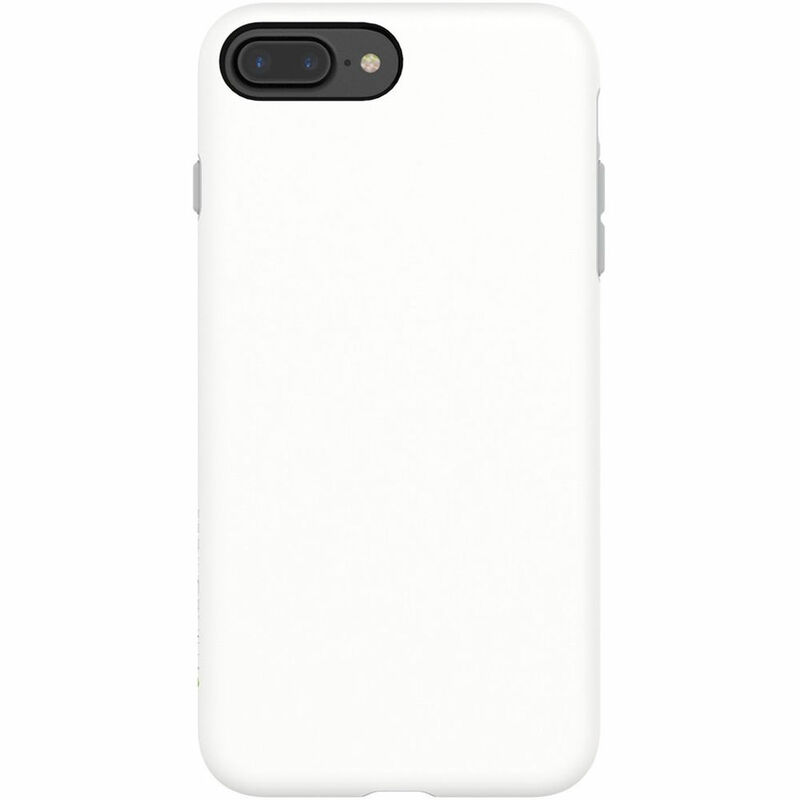 Protect your iPhone 7 Plus/8 Plus with the Rhino Shield PlayProof Case in white. Made from shock-absorbing polymer, this case absorbs impact forces from bumps and drops. The exterior provides extra grip and a raised lip protects your screen when placed face down. Box Dimensions (LxWxH) 7.3 x 4.9 x 0.7"
PlayProof Case for iPhone 7 Plus/8 Plus (White) is rated 3.0 out of 5 by 2. Rated 5 out of 5 by Ryan from Light but seems nice I've been using my case 2 weeks on my 7 Plus. Only one drop so far, but it handles great. The case isn't bulky like a lot of cases, but seems to still protects well and provide great grip. Is this a silicone or plastic case?